Also known as: remote temperature sensor, industrial Ethernet, remote server IT environmental monitoring, computer room monitor, rack power sensor, rack 19 temperature transmitter, temperature humidity PoE sensor, computer room temperature alert, remote alarm, Power over Ethernet. Intelligent online Power over Ethernet sensor is designed for measurement of temperature, relative humidity, atmospheric pressure. 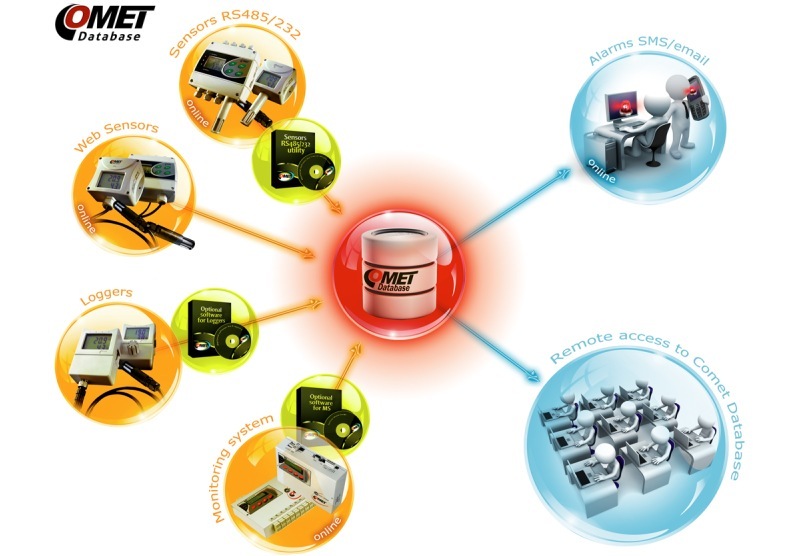 Our online web sensor allows for powerful notifications via Email, SOAP and SNMP. State-of-the-art capacitive polymer sensor ensures excellent long term stability, inertia against water and condensation.